Regardless of whether you’re relocating a storefront, a warehouse, or any other type of space, we have the knowledge and resources to simplify the business moving process for you. Well in advance of the big day, we can discuss the plans and layout of your new location to streamline the process and minimize interruptions. When move day comes, we’ll look after every aspect of your business relocation so that you can continue to focus on getting up to speed again with your daily operations. When you need to move an existing employee to a new location or are bringing a new employee in from afar, we have you covered. From packing to automobile transport, we offer a range of corporate relocation services to make the relocation process as easy as possible for everyone involved. For relocating your entire office, you need only the most skilled and reliable office movers. 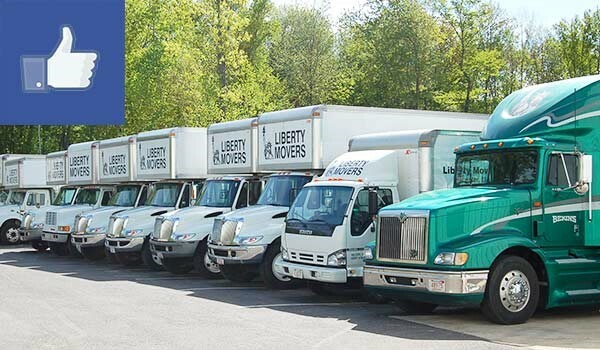 At Liberty Movers, we train our staff extensively in moving office equipment with care—everything from computers and photocopiers to water coolers and furniture. Working quickly and efficiently to minimize downtime and disruptions to your daily operations is always a priority. Lab and medical equipment demands particularly careful treatment. Regardless of their specific purposes, many of these pieces can be incredibly heavy, excessively fragile, and astronomically expensive! That’s why we take the time to strategically pack each item with the utmost care for careful transport it to its new location. Our experienced crews have been providing trusted moving services since 1920, and no other moving company will treat your delicate equipment with the same level of care as we do. The thought of moving hundreds and thousands of books in an organized and orderly fashion would be overwhelming for many, but the library movers at Liberty Movers have the experience and knowledge to tackle this challenge with ease. With our in-depth advance planning and proven processes, we can keep your books and your systems organized to make unpacking and inventory a breeze. Ask about our shelving tear-down and assembly services too! Our commercial relocation services include school and university moves—everything from shifting a single classroom or lab to a different wing, or several buildings to a whole new campus location. Our school and university movers can help you choose from a range of options to customize your packing, moving and/or storage solutions. By hiring us, you can continue to focus on education while we handle the heavy lifting of your relocation! Whether you need to relocate your small store or your whole IT department, our Worcester commercial movers have the knowledge and skills to handle any task. We encourage you to call us directly, or fill out our online quote form to start planning your relocation today.